We’re in a holding pattern this week, with Mercury moving through the final stage of his retrograde phase, Mars well-established in his own sign of Scorpio, and no highly challenging aspects. As the week begins, Mercury has a week and a half left to go in his three-week retrograde period. Some of you have written to say that you haven’t noticed any major effects of this Mercury retrograde, and I have to agree with you. I’ve seen a few minor glitches here and there, but no major mix-ups. I’ve even heard a couple of good stories, and my own experience has been mostly positive. A relationship with a co-worker began getting back on track after several weeks of discord. Because Mercury is in Libra, the sign of relationships, I do believe it’s possible that this retrograde period has been good for revisiting old wounds and unresolved issues, especially as Mercury forms harmonious trines with Neptune and Chiron in Aquarius. On Monday, the Sun conjoins retrograde Mercury, and both bodies square Jupiter in Capricorn. If you don’t like the way a certain relationship is going, this is a great opportunity to make some real changes. Depending on where Mercury is transiting your chart, you may also have a window of opportunity to change some other part of your life. With Mercury and the Sun in an intellectual air sign and Jupiter in a practical earth sign, thinking through how you’d like things to be different is a good start. Visualization exercises and affirmations will work well with this planetary configuration. The effects of this triple aspect will continue into Tuesday as the Moon in Capricorn squares Mercury and the Sun and conjoins Jupiter. We manifest much more effectively when we back our thoughts with emotion. Put another way, when there’s a real need, the energy we send out into the Universe is much more powerful. Matters also start getting complicated, though, with Venus in Scorpio squaring Chiron on Tuesday and Neptune on Saturday. We can’t be truly intimate with another person if we don’t express our hurts and fears. Often we’re afraid to do this, either because it exposes our vulnerability or makes us appear less desirable. Or we may be afraid that the other person will be angry, perhaps even angry enough to leave us. Withholding information from an intimate partner or someone else close to you is a means of manipulation and control, and while you may get what you want in the short term, this will harm your relationship over time. If nothing else, be ruthlessly honest with yourself about your motives. As she makes these difficult aspects with Chiron and Neptune, Venus also sextiles Saturn early in the week. This is good energy for solidifying your committed relationships, provided you are willing to do the work. In financial matters, this positive Venus-Saturn contact can help you make progress, even with Mercury retrograde. The Moon in Aquarius conjoins Chiron on Thursday and Neptune on Friday, triggering the Mercury-Sun aspect earlier in the week. Also on Thursday and Friday, Venus forms a happy trine to unpredictable Uranus. Typically the surprises that arrive under this aspect are happy ones. I don’t know about you, but I’m more than ready for some of that! Overall, we’ll get a bit of a breather this week, so take advantage while you can. 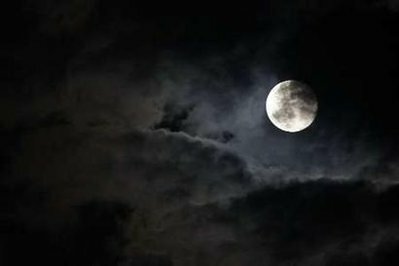 Next week is the Full Moon in Aries, the day before Mercury turns direct, and I’m betting that a lot of pent-up energy will be released at that time. Neith will have more on this in a day or two. 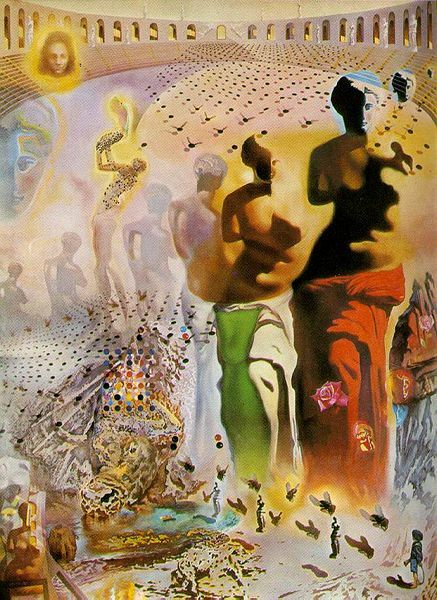 Image: The Hallucinogenic Toreador, by Salvador Dalí, 1968-1970. Salvador Dalí Museum, St. Petersburg, Florida. I chose this image because it so nicely represents the confused, complicated energies of Venus this week. However, on a deeper level, this painting contains symbolism for suddenly seeing the whole, a psychological phenomenon called “emergence” in Gestalt theory. This entry was posted in About astrology, Forecasts and tagged Libra, Mars in Scorpio, Mercury retrograde, Venus in Scorpio on October 5, 2008 by Pat.